It’s a beautiful time of dry air and changing leaves throughout Massachusetts, and no one wants to be a downer around Halloween, least of all dentists! 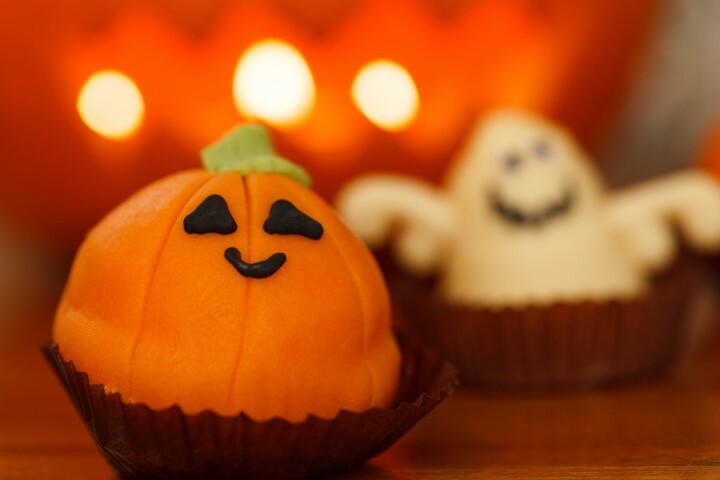 We’re not saying your kids can’t indulge in sweet treats this Halloween. What we do encourage, however, is that you and your children work together to limit sweets, make wise choices, and brush twice a day for optimal oral health even during this exciting time. Have fun trick or treating but wait until you arrive back home to indulge in candy. This will give you a chance to go through the loot, let your children pick out a few to eat right away, and save the rest. Avoid sticky, gooey treats like gummy candies, caramels, and chewy candies, as these tend to get lodged in between the teeth and stick around — a breeding ground for cavities to form. Sour candies are also a no-no, due to their high acidity content that can eat away at tooth enamel. Instead, reach for lower-acidity items like snack-size packets of pretzels or crackers, sugar free gum, milk chocolate, or better yet, dark chocolate. Dark chocolate boasts antioxidants such as tannins, polyphenols and flavonoids that prevent bacteria from sticking to the teeth, keeping gum and tooth decay at bay. Sugar-free gum has tooth-protecting qualities that prevent the formation of bacteria and plaque. Make sure your children always have a bottle of water at the ready when eating their Halloween treats. Have them swish the water around their mouths when they are done, if you’re not near a bathroom to brush teeth. This will go a long way towards flushing out any loose particles. If possible, brush teeth after every candy-eating session, especially right before bed. Set a candy limit and sell or donate the rest. Cavities can be scary! Keep them at bay this Halloween while still participating in all the fun and schedule your child’s next visit to the Kindred Smiles pediatric dentist office today!